Vale Carpet Cleaning Barry are highly experienced, reputable and established local business. Serving the community for over 10 years, we use child and pet friendly solutions, providing the ultimate deep clean. If you live in Barry, the Island, Rhoose or Cadoxton and you want the very best in professional carpet, rug and upholstery cleaning, then give us a call today! Our team of professional carpet cleaners know how to handle the toughest stains and the most deep-seated dirt and dust particles. Your carpets can look, feel and smell like new after we are done with them. It’s important to hire professionals instead of trying to do the job on your own. The average person doesn’t have the equipment or the training to really clean a carpet. You can of course hire a machine yourself from the local supermarket. But when you add the cost of the solutions, and the time it takes, it really isn’t cost effective or practical. Believe it or not there is a great deal of chemistry that goes into the process, if done wrongly it can do more damage then good. When you have your carpets cleaned with us, you can be rest assured your in safe hands. Our top quality machine and chemicals, ensure every last pollutant, allergen and particle will be removed. There are a number of carpet cleaning companies in Barry. So why choose us. Well, we work extremely hard to be the very best at what we do, by building lasting relationships with our customers. Much of our business is based on recommendation. We are determined to retain the title of Barry’s premier deep carpet clean. We do this through competitive pricing, unrivalled service and a dedication to a thorough clean. 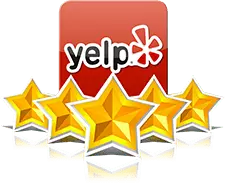 Our track record speaks for itself, and we would be happy to connect you with past customers or show you testimonials they have written so that you can see how pleased they have been with our work. 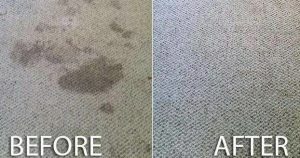 Cleaner Carpets guaranteed or your money back! Our machines use hot water extraction (steam cleaning), killing dust mites and getting rid of all the particles they leave behind. A thorough steam clean kills germs and stops many pathogens and contagions before they cause problems. You’ll never know how many illnesses you avoid by having your carpets professionally cleaned. There are a number of microscopic particles hiding inside your carpet. You may not be able to see them, but they affect you just the same. They can include dust mite droppings, pet dander, dust, dirt, animal body parts, mould spores and more. We can get these out and help your carpet to last so much longer. Our technicians are also able to get rid of mould growth and prevent further mould. We thoroughly evacuate all moisture ensuring that any destructive, allergen-causing mould cannot thrive there. We always serve our customers with professionalism, friendliness and efficiency. Just email us or phone us on 07779 086699. today to schedule an appointment or to find out more about the many services we offer for Barry and its surrounding areas.